At the young age of 15, Tye S. Peters, founder of Tye’s Lawn Care and President of TSP Lawns and Landscapes, Inc. had a problem; one that many teenage boys have. He wanted more than his allowance would cover. In order to rectify this problem, Tye decided he would start mowing lawns in his neighborhood and for his family in Yorktown Virginia. Starting so small, Tye Peters learned right away that quality of services as well as fantastic customer service are necessary to maintain and grow the TSP Lawns and Landscapes, Inc. customer base. 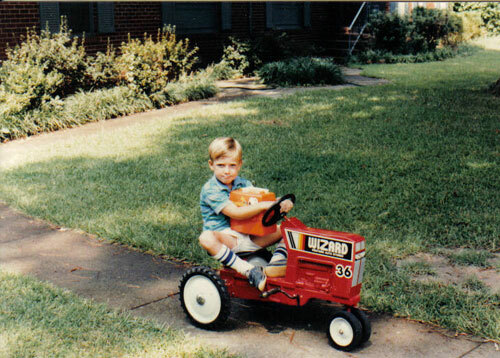 A few years later, several beat up mowers later, a cool trailer and an old truck, Tye began widening his area of service. Currently, TSP Lawns and Landscapes, Inc. provides residential as well as commercial services to the Gloucester, Hampton, Newport News, Williamsburg and York County areas in Virginia.